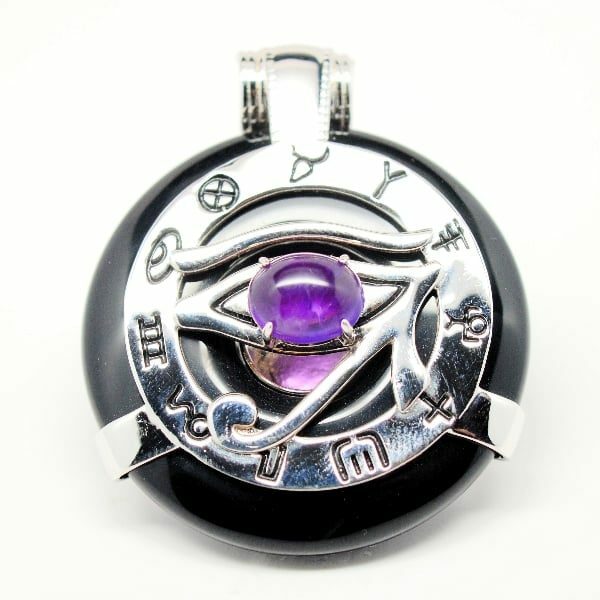 Allow the all-seeing amethyst Eye of Horus atop a black obsidian torus to guide your every action while he keep a watchful eye out for negative energies that both of these stones are designed to neutralize. 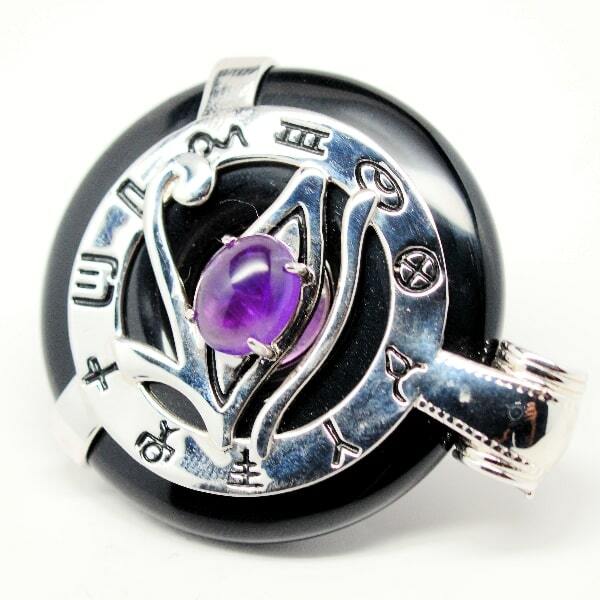 Obsidian is an exceptional shielding and grounding stone that has a profound effect on the base chakra while amethyst is often employed to activate the higher chakras up through the crown. 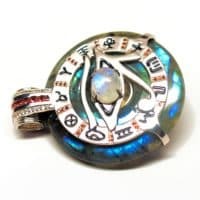 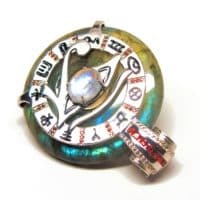 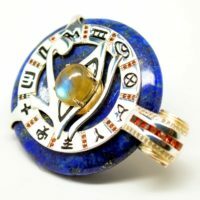 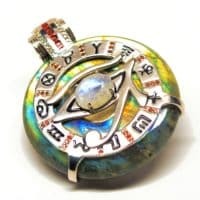 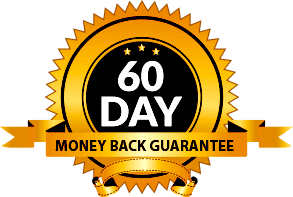 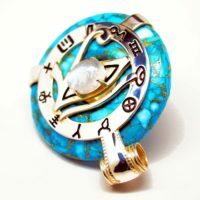 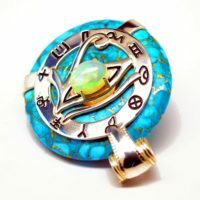 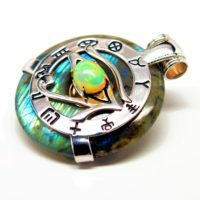 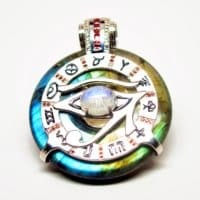 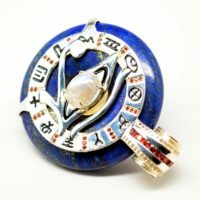 Those in need of healing emotional issues and/or physical ailments may discover the answers they seek for mind, body and spiritual healing as the amulet helps cleanse away fears, irrational behaviors, addictions and other issues that impede one’s journey to ascension. 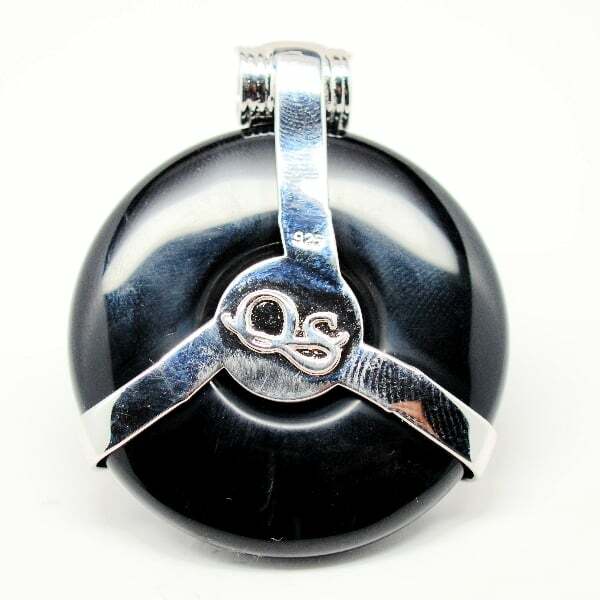 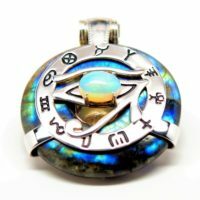 This stunning Obsidian Eye of Horus is backed by a small magnet and surrounded by 11 powerful symbols designed to assist users in further manifesting their goals with this healing tool. 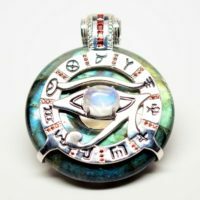 Learn more about the Sky God Horus and the meaning of the pendant’s symbology here. 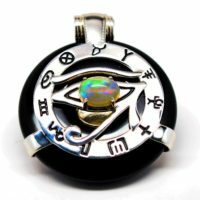 Chakra Soul Issues: To be part of the living universe. 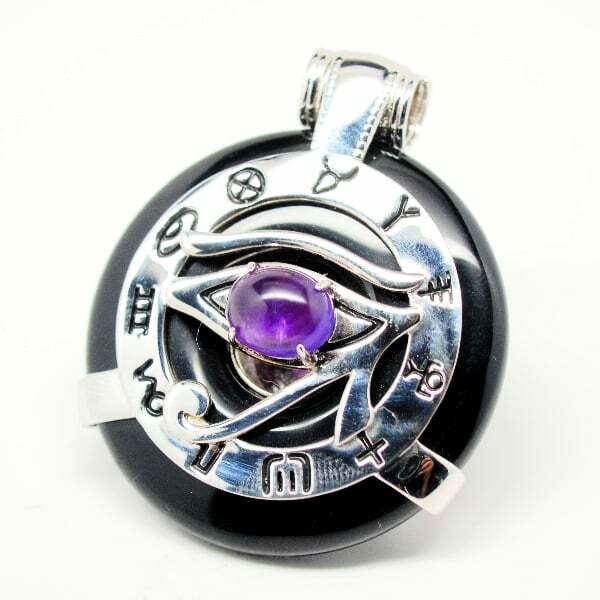 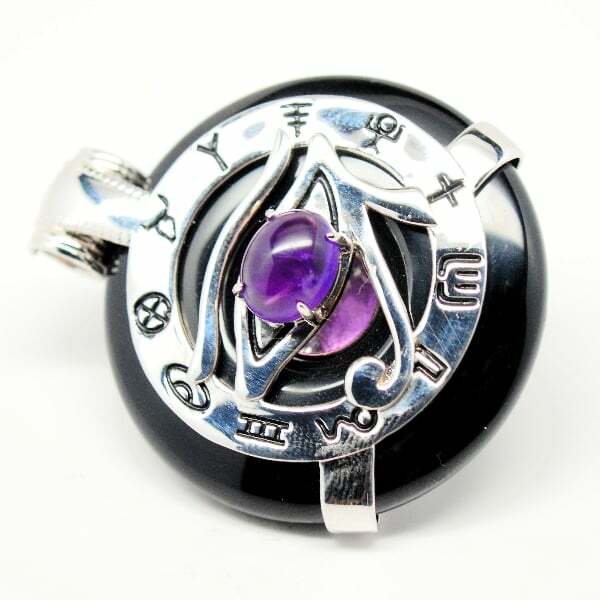 Be the first to review “Black Obsidian w/Amethyst Eye – Horus Egyptian Amulet” Click here to cancel reply.